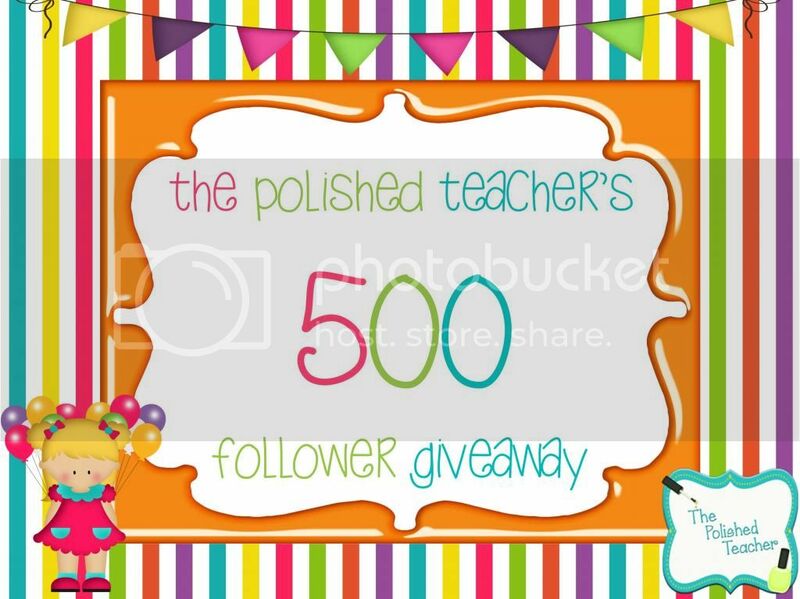 The Polished Teacher: Five For Friday! Aaah Friday! Made it through another busy week! I seem to be living for the weekends when I can sleep in and just relax. For all of you still in school trying to make it to the end I'm sure you understand! Today, I'm linking up with Kacey at Doodle Bugs Teaching and share! 1. Celebrating 500 Followers - This blog of mine hit a big milestone this week! I am celebrating with a 500 follower giveaway! It ends tomorrow at Midnight so get those last minute entries in! Click the picture below to enter! 2. Monday Made It - After my huge Monday Made It fail, I was so excited with my creations this week! Washi Tape changes lives people! If you don't own any get on that ASAP! 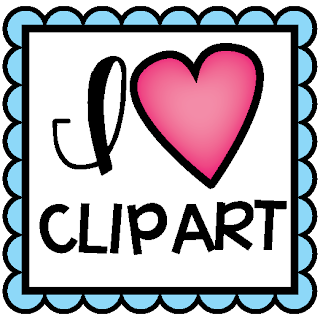 Click the image below to view what I made! 3. Candy Crush - Are you all candy crush addicts like I am? I was introduced to chocolate squares this week and let me tell you we have a hate-hate relationship! I have never lost so many lives before! This chocolate has to go! 4. 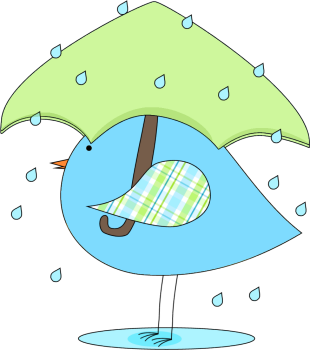 Rain, Rain, Go Away - It seemed like the rain was here to stay this week. I was not enjoying all that rain and neither were the kids. I think we got to to outside twice this week. Not to mention field day was cancelled. Hoping for better weather next week! Bring on the sunshine! 5. 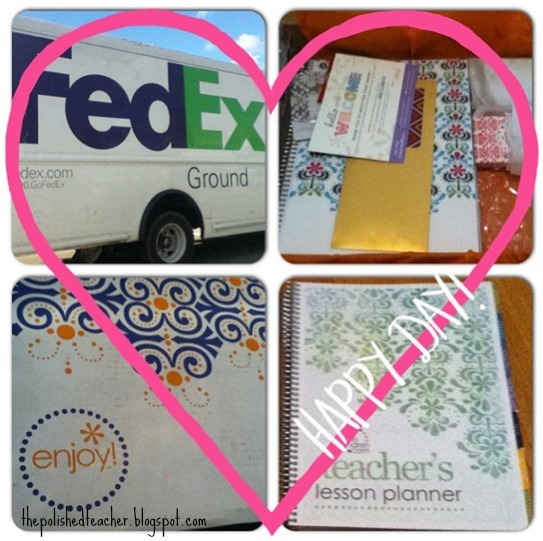 Erin Condren Teacher Planner - My lesson planner finally arrived! It made my week! It was definitely worth the wait! This planner is beyond amazing! If you don't have one yet, go online and buy one today! It is definitely worth the hefty price tag! Well there you have it a week in the life of The Polished Teacher! Hopefully my weeks get a bit more exciting in the future and include some travel! Can't wait to hear what everyone else was up to! First of all, congrats on the 500 followers! Yay you! 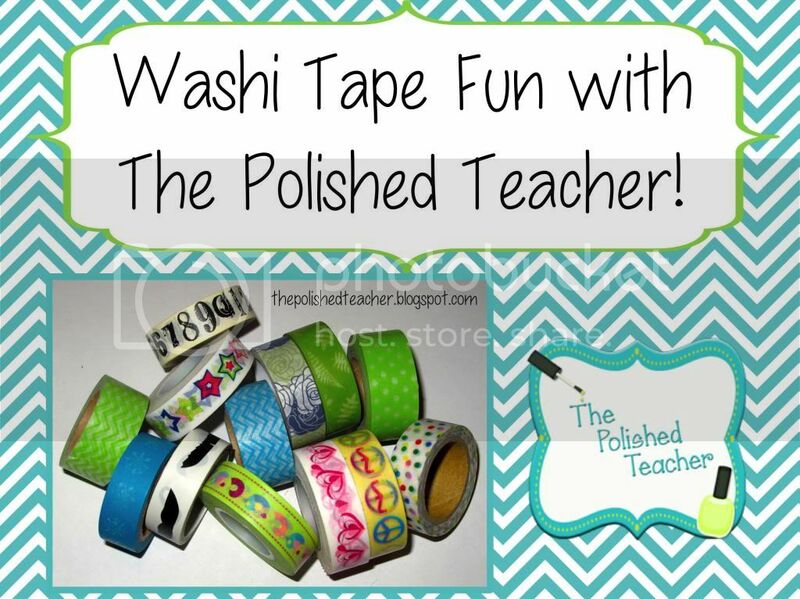 I had to laugh reading about your washi tape. I just bought some and have no idea what I'm using it for...YET. Candy Crush....uh oh. I am completely new to this addiction and am stuck on, don't laugh, level 34. Ugh. Found you through the Five for Friday linky! I have been thinking about getting an Erin Condren planner, I am glad to hear that you like it so much and think it was worth the money. Helps make my decision a little easier! Congrats on 500 followers! Congrats on the 500 followers! 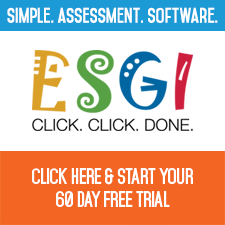 I keep seeing those lesson planners everywhere...but we do ours online. Maybe I'll have to purchase some sort of planner for myself instead. I am definitely ordering some Washi tape this summer and staying AWAY from Candy Crush. I have completely avoided it so far and I think that is the way to go. Just ordered my Erin Condren planner... I think all these bloggers should be getting paid for the amazing advertising you are all doing for her! I'm now follower #564 so it looks like you'll be at 600 soon! I've been thinking about getting an Erin Condren planner. Glad to hear you like yours. Have a great weekend! We had a lot of rain last week. It is supposed to rain here again today. I want the summer warm weather to stay. It has been so rainy! Makes it a little easier to end the school year though. Congrats on 500! I've been seeing those planners on all the blogs. Need to check those out! Yes to the washi tape. It's a fun little addiction and make everything so cute.